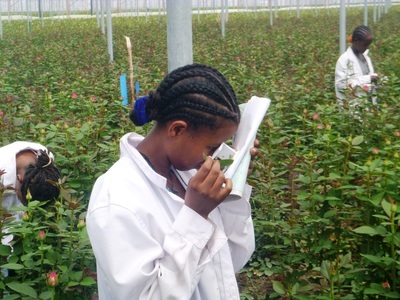 Afriflora has the largest rose farm in the world in Ethiopia, subsidiary Sher Ethiopia. 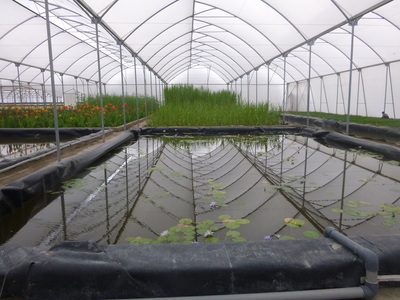 The nursery is located on Lake Ziway, at an altitude of 1650 meters above sea level and about 2.5 hours’ drive from the capital Addis Ababa. The company builds daily new parts in the greenhouse complex. In 2017 the total area of the greenhouses of about 650 hectares will be made, this is comparable to 1300 football pitches. Sher Ethiopia employs more than 11,000 local employees. 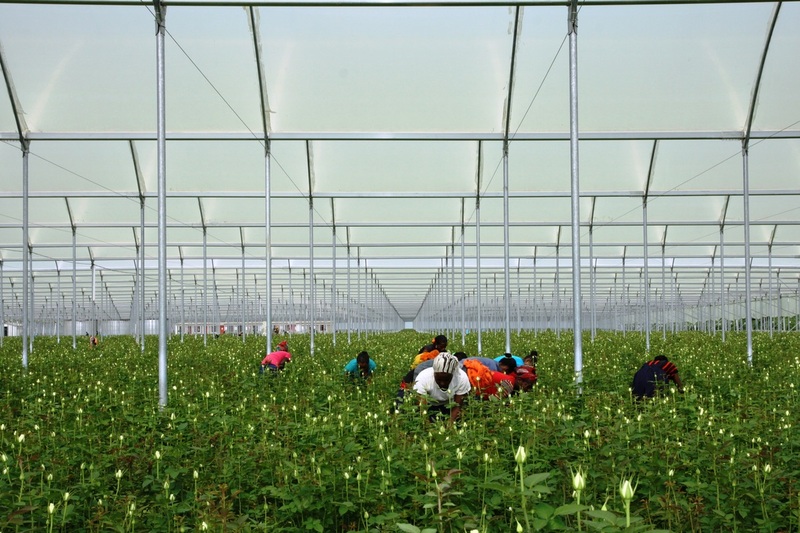 At its nursery in Sher, Ethiopia, Afriflora has been using natural predators against pests such as spider mite, mealybug and thrips (Integrated Pest Management). 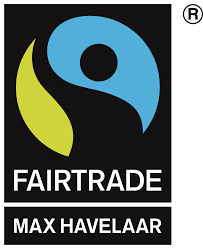 Special training has been provide for our employees to use this environmentally conscientious system. Water is crucial, especially in Africa. 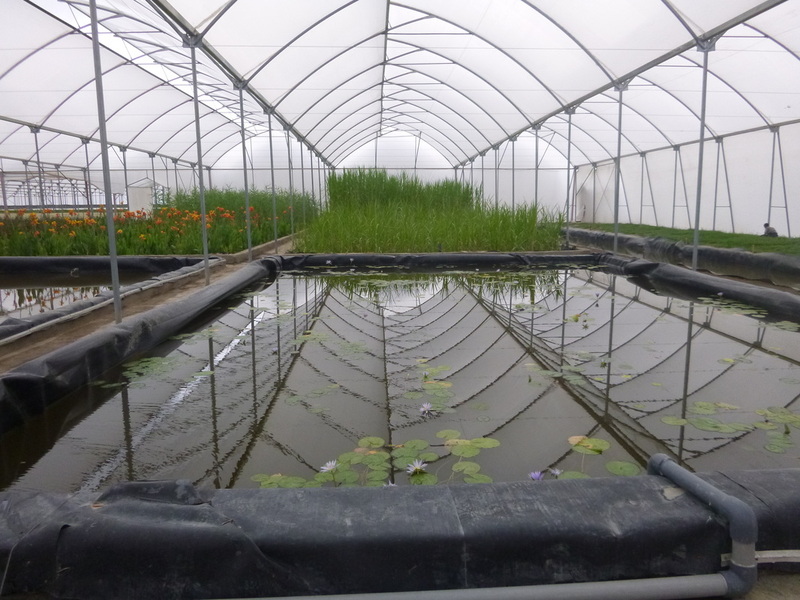 Afriflora strongly supports water conservation, by using a closed irrigation system that recycles the water through natural wetlands back to the crops, and no waste water is flowing to the local environment. 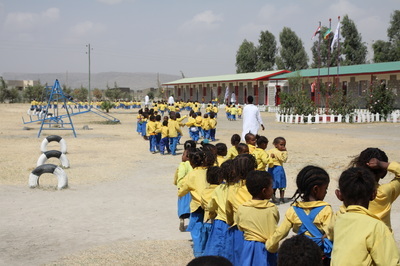 One of the first Afriflora projects was to set up the Sher Ethiopia school. The school is open to all people in the area, both employees and non-employees. Along with the school we set up childcare and created the nursery, primary and secondary schools. Currently, there are over 6,000 children attending school. We feel our best investments are made in our people and to provide education in reading, writing and calculation skills. We also provide advanced classes teaching computer skills. 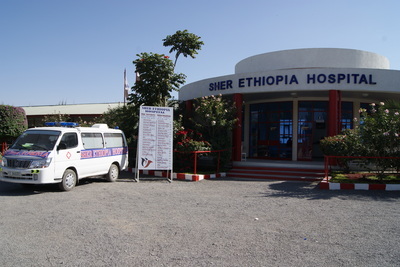 Further, Afriflora has completed a modern hospital with free healthcare, provided a sport stadium, with a clubhouse , to name a few of its many projects. Since all projects are implemented by local companies, many new jobs are created in the community (Ziway).